Stock # 944581, 120000 mi. Thank you for visiting another one of Berlinetta Motorsports's online listings! 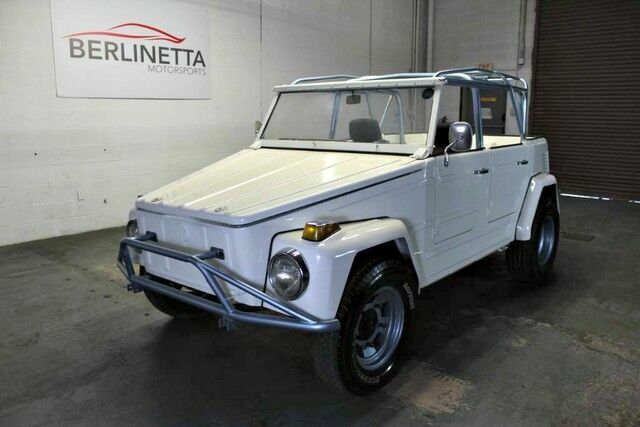 Please continue for more information on this 1973 Volkswagen The Thing with 120,000mi. In addition to being well-cared for, this Volkswagen The Thing has very low mileage making it a rare find. This extremely hard to find Volkswagen The Thing has made its way into our dealership. When you see this car in person, you'll ask yourself "When did WOW become a color of paint?" This Volkswagen The Thing has high-end wheels to enhance your ride and the overall appearance of this vehicle.